England international striker Fran Kirby has signed a new three-year contract with Women’s Super League One champions Chelsea. The 24-year-old, who joined The Blues back in July 2015 following her transfer from Reading Women, has put pen to paper on a new deal that will keep her at the club until the summer of 2021. 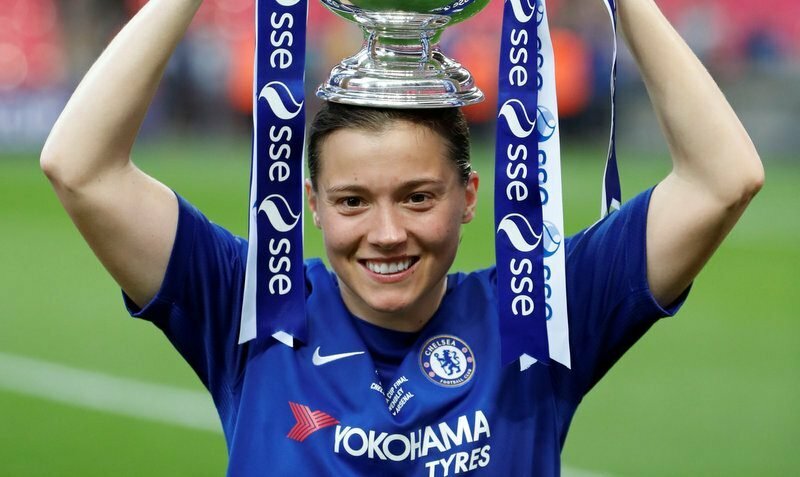 Kirby, who scored 25 goals in all competitions for Chelsea this season, helped Emma Hayes’ side win the ‘double’, lifting the top-flight league title and the Women’s FA Cup, as well as reaching the semi-finals of the UEFA Champions League. The Lioness’ prolific form this term has also seen Kirby named the PFA Women’s Player of the Year and Football Writers’ Association’s Women’s Footballer of the Year. 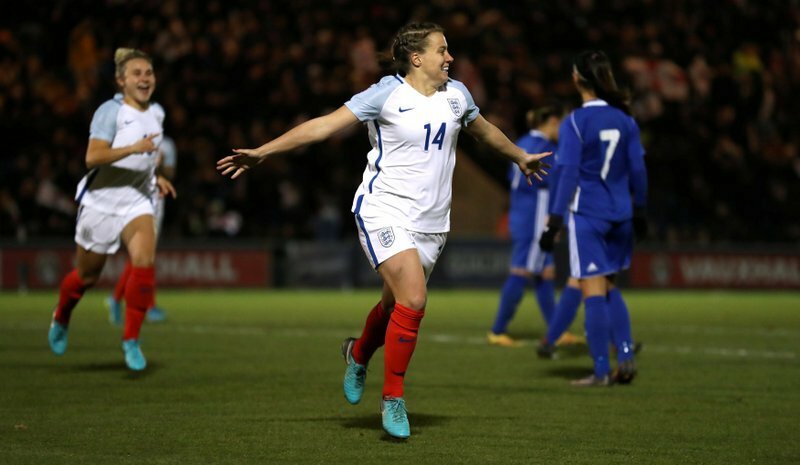 England’s Fran Kirby celebrates scoring against Kazakhstan. 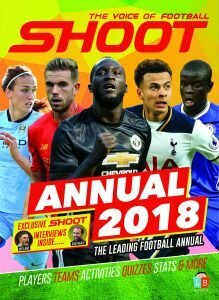 “It’s a massive step for me to commit to Chelsea, but one which I didn’t hesitate to make,” Kirby told the club’s official website. “Other players have also signed new contracts recently and it shows what people want to achieve with Chelsea and how much we love it here. The forward continued, “At the beginning of the season I’d have never dreamed of achieving what I have done personally, that was never in my mind, I was only thinking about winning trophies with my team. “My attitude doesn’t change. If you ask all the girls, they’ll tell you I’ll always give 100 per cent to win for my team. Manager Hayes added, “Fran is one of the best players in Europe at what she does. 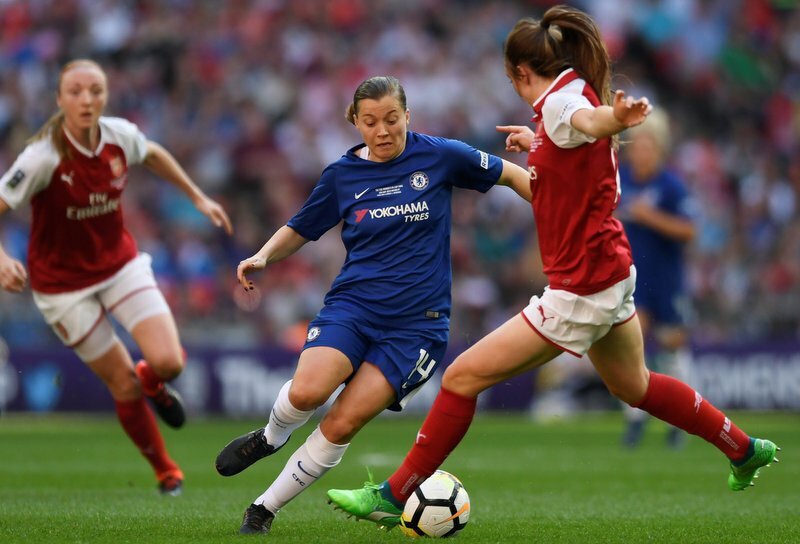 Chelsea’s Fran Kirby in action against Arsenal. 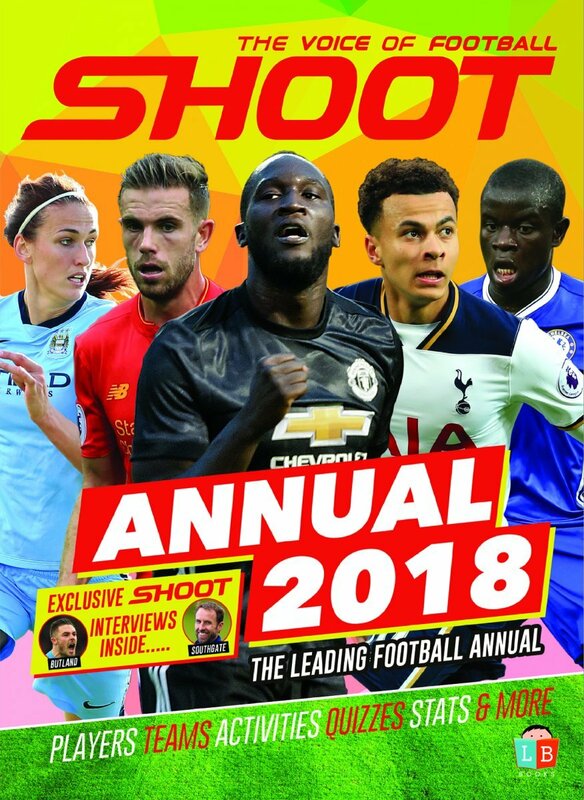 “She’s had a wonderful year in terms of both scoring and assisting, and her excellent work from the front, but she’s got massive ambition to improve in the Champions League, as do I. “That’s the next level for all of us – can we push ourselves to achieve more at that level? Fran is so hard working and I always tell people that you have to see just how much work she does behind the scenes. “To come back from injury and lead the way in terms of appearances and goals is something she deserves immense credit for. She got better and better as the season went on and she’s going to keep improving. Kirby has netted a remarkable 47 goals in just 63 games overall for the club, and has scored 10 goals in 30 international caps for England.